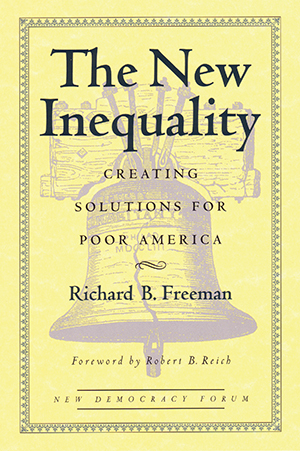 Harvard economist Richard B. Freeman launches this provocative book with the idea that in equality is the one problem from which all crises in America flow. He contends that inequality-both economic and social-has become more brutal and pervasive in the last twenty years, and that it is now time to stop analyzing its causes and consequences and concentrate on doing something about it. Freeman offers real solutions: raising the income of the working class, reinvesting in cities, and reenergizing democratic institutions through the encouragement of local citizen organizations. His argument is answered by distinguished activists, social scientists, and activists-James Tobin, Heidi Hartmann, Michael Piore, Frances Fox Piven, James Heckman, Ernesto Cortes, Jr., and Paul R. Krugman-in essays that heed and add depth to Freeman’s call. As they debate the limits of traditional solutions for inequality, all agree on one key prerequisite: A democracy can solve inequality only by living up to its name. Spirited and engaging, this unique dialogue will serve as a guidebook for activists, students, and all interested in achieving a just society.